If you or a loved one has been charged with drug possession or distribution in the Morris County, NJ area, you may have more legal options than you think. Morris County operates a Drug Court Program that allows certain repeat drug offenders and those charged with serious indictable drug crimes to resolve their cases without going to jail. Typically, if you can’t achieve a dismissal at trial in a drug case and you have no prior criminal record, you can have your drug charges dismissed by completing a diversionary program such as Conditional Discharge or Pretrial Intervention (PTI). However, these programs are only available to first-time offenders and can only be used one time in your life. Fortunately, the New Jersey Drug Court Program provides yet another alternative through which to have drug charges dismissed. Even if you have already used PTI, you have a criminal record, and/or you are charged with a first degree or second degree crime that entails mandatory prison time, Drug Court may be right for you. At The Tormey Law Firm, our highly experienced criminal defense attorneys regularly assist clients with securing admission in the Morris County Drug Court Program. If you have been charged with a drug crime like cocaine possession, intent to distribute heroin, possession of ecstasy, or a prescription drug offense, you may be eligible for Drug Court. Our drug defense lawyers ensure that you are apprised of all of your available options. After a thorough investigation of your case, we develop a customized strategy to achieve the best possible outcome. If you have been arrested for drugs in Morristown, Parsippany, Mount Olive, Montville, or elsewhere in Morris County, contact us online or call (908) 336-5008 anytime for a free consultation. The New Jersey Drug Court Program is essentially a probationary sentence during which you must fulfill the program’s conditions to graduate. The purpose of the program is to allow drug offenders to tackle the underlying issues of substance abuse that may lead to criminal behavior. As opposed to sending non-violent drug defendants to jail, Drug Court allows them to get help for their drug or alcohol addictions. The statute that addresses Drug Courts in New Jersey is N.J.S.A. 2C:35-14 – Rehabilitation program for drug and alcohol dependent persons subject to a presumption of incarceration or a mandatory minimum period of parole ineligibility; criteria for imposing special probation; ineligible offenders; commitment to residential treatment facilities or participation in a nonresidential treatment program; presumption of revocation; brief incarceration in lieu of permanent revocation. Drug Courts represent a collaborative effort among judges, prosecutors, probation officers, defense attorneys, and substance abuse treatment professionals. The program has stringent requirements, including regular court appearances, rehabilitation services, frequent drug testing, employment requirements, and more. Office location: Morris County Courthouse, P.O. Box 910, Morristown, NJ 07960. You can also check out the Morris County Drug Court Facebook Page. If you fail to fulfill the Drug Court Program’s conditions, you will be terminated and must complete your sentence in prison. However, if you successfully complete the program, you are eligible for an immediate expungement of any arrests, detentions, convictions, or adjudications on your criminal record. Essentially, you can move forward with your life with an entirely clean slate. 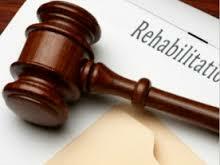 If you have a drug case in Morris County, New Jersey or you are seeking more information about the possibility of going to rehab instead of jail, contact The Tormey Law Firm in Morristown at (908) 336-5008 for a free consultation. Our skilled attorneys have assisted countless clients with securing enrollment in the Morris County Drug Court Program and we are happy to answer all of your questions. You can also contact us online. For more information about drug rehabilitation and treatment services in Morris County, click here.